He was charged with misdemeanor theft and transferred to the Lafayette County, Missouri, jail. Forty days went by before he met with an attorney. The public defender appointed to represent him told Church he had a winnable case, but as the only public defender in Lafayette County he was laboring under a crushing workload. Church, who was married and had four children, faced a choice: He could languish in jail for another six months while his attorney tried to prepare his case for trial or he could plead guilty to a misdemeanor and possibly get out of jail sooner. He opted for the plea deal, but in the meantime his attorney quit the public defender’s office. By the time Church entered his guilty plea and was sentenced to two years of probation, he had spent five months in pretrial detention. Church’s story is recounted in a massive class-action lawsuit filed today by the American Civil Liberties Union-Missouri in Cole County Circuit Court. The lawsuit, which names the state of Missouri and state officials, says the state's public defender system is chronically underfunded and understaffed. An advance copy of the lawsuit obtained by KCUR describes “an urgent constitutional crisis.” Only Mississippi, the lawsuit says, spends less than the $355 per case Missouri allocates to its indigent defense budget. 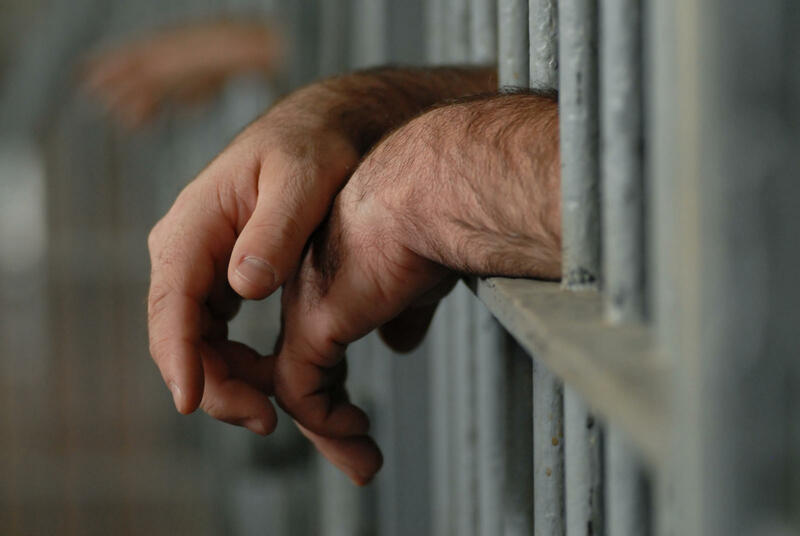 “The consequences for indigent criminal defendants such as Plaintiffs – who must wait, often in jail, while their public defenders scramble to find even minimal time to devote to their cases – are devastating,” the suit states. Michael Barrett has headed the Missouri public defender system since 2015 and has called for boosts in funding, to no avail. Last year, seeking to draw attention to the system’s plight, the exasperated head of Missouri’s public defender system, Michael Barrett, invoked an obscure Missouri law to appoint then-Gov. 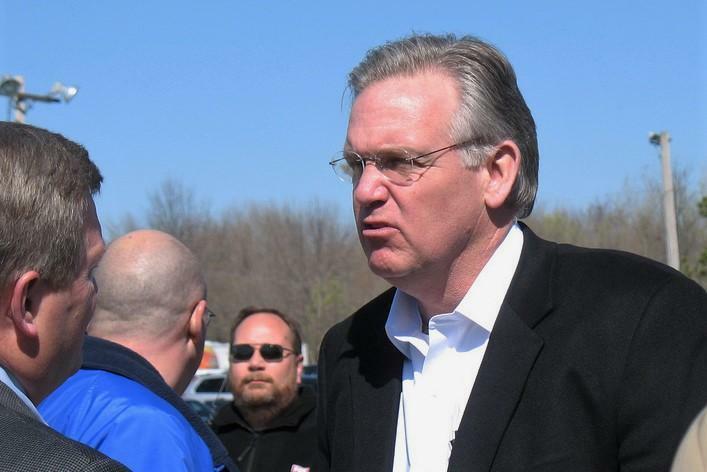 Jay Nixon, a lawyer and former state attorney general, to represent an indigent defendant. A judge later ruled that Barrett didn’t have the authority to do that, but the point he was trying to make – that the state’s public defender system was on the verge of collapse – drew national headlines. “It’s well known in this country that you’re entitled to adequate legal representation when you’re charged with a crime. Anyone looking objectively at all at Missouri’s public defender system knows that we have public defenders in name only,” said Tony Rothert, legal director of the ACLU-Missouri, which filed the case on behalf of Church and four other named defendants. “The attorneys are too overburdened and under-resourced to argue for release pending trial, to investigate their cases or meet with their clients regularly. So that causes constant injustice,” Rothert said. In a phone interview, Barrett said he had "done everything short of setting myself on fire to draw attention to the situation that the state has put us in." "Poor persons in this state, including poor children, are being pushed through the criminal justice system, fined excessively and deprived of their liberty, without receiving the benefit of an attorney who has the necessary time to look into their case," he said. "Despite their claims of support for liberty and against big government, the state has chosen to neglect an indigent defense system that ranks 49th in the U.S. while enthusiastically spending more than a $100 million in new money on incarcerating the very citizens who were deprived of their right to counsel." The 80,000 cases are parceled out among just 370 public defenders statewide. The lawsuit, and numerous studies that have evaluated the Missouri public defender system, say the system should have nearly twice that many lawyers to meet standards set by the American Bar Association (ABA) for the minimal time needed to adequately represent clients. Times are averages and come from 2014 data; appellate cases include post-conviction relief, and "probation" refers to probation violations. Without sufficient funding, the lawsuit says, Missouri’s public defenders average just 8.7 hours on the most serious non-homicide felonies – less than 20 percent of the minimum time recommended by the ABA. “Overall, they are forced to devote fewer than the minimum hours recommended by the ABA in more than 97 percent of their cases,” the suit states. The Missouri public defender system is funded with general revenue amounting to less than half of 1 percent of the state’s general appropriations. In fiscal 2015, Missouri spent $6.20 per resident on the system, or about a third of the national average, according to the lawsuit. Last year, then-Gov. Nixon cut $3.5 million from the public defender budget, reducing a $4.5 million increase earmarked by the Legislature to $1 million. For this coming fiscal year, Barrett, the head of the system, asked for a budget of $67 million – $27 million more than last year’s $41 million allocation. But Gov. Eric Geitens’ budget only allots $40 million – even as public defenders’ caseloads continue to mushroom. Somewhat ironically, Barrett, who has been outspoken about the public defender system's problems, is named as a defendant in the case. The others are the state of Missouri, Gov. Greitens and the four public defender system commissioners in addition to Barrett. The suit cites violations of the right-to-counsel and due process clauses of both the U.S. Constitution and Missouri Constitution, as well as violations of Missouri’s criminal and juvenile codes. Several years ago, Missouri public defender offices tried to cap their workloads by declining appointments after they exceeded a certain case threshold. The Missouri Supreme Court upheld its right to do that in 2012, but the legislature passed a law prohibiting the offices from declining cases unless they received prior court approval. Since then, the suit says, no public defender office has consistently refused cases, in part because they fear reprisals including budget cuts. The lawsuit notes that Missouri’s overworked public defenders often meet their clients for the first time weeks after their arrest and arraignment, when bond has already been set. That frequently results in clients remaining in jail for weeks or months because the clients are unable to argue effectively for a reduction of their bond or their release. The crushing workloads and low pay have other effects, the suit says. Among them: guilty pleas, which account for 95 percent of cases, are not always made knowingly or voluntarily; cases are inadequately investigated; attorney-client communications are limited; and 15 percent of public defenders leave the system annually, resulting in few experienced lawyers. “Finding plaintiffs (for this lawsuit) was regrettably not very hard,” Rothert said. “ … It’s very common for people to sit in jail not seeing an attorney, losing jobs, losing homes, even though they have meritorious defenses. And the reason is the public defender system just can’t get them the representation that they deserve. That representation extends to juveniles. In Missouri, 60 percent of juveniles go without representation by a public defender, according to a 2013 report, cited in the lawsuit, by the National Juvenile Defender Center. And even when they are represented, the report said, they typically receive only “rationed” assistance. Missouri is just the latest state to be sued over its public defender system. Similar lawsuits have been filed in Florida, Idaho, Louisiana, Michigan, New York and Utah.